This super easy and fresh recipe can be adapted according to what herbs you have. Basically you just throw all the herbs in the food processor with olive oil, spread over the salmon and roast it, how easy is that!!! 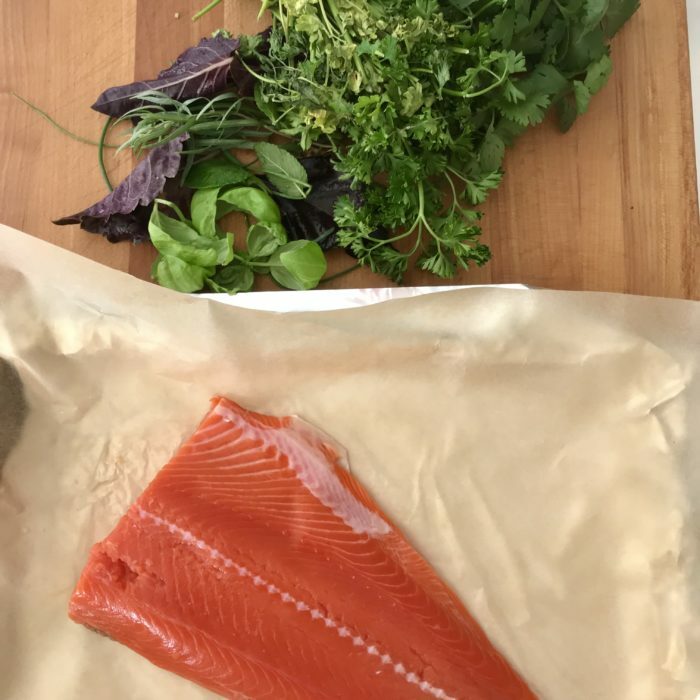 Preheat the oven at 275 F.
I like to slow roast here rather than broil so it does not burn the herbs and keeps the salmon super tender and moist. Combine all the herbs in a food processor with the olive oil and process until finely chopped. Sprinkle some salt and pepper on the fish and spread the herb mixture.